Hide this Project (Skyline Bliss) Discover properties in other projects by hiding the ones that doesn't interest you. You won't see them in your searches further but you can unhide anytime later. Skyline Bliss is one of the popular residential projects that is located in Garia, Kolkata. This project, developed by Todi Niketan (part of Skyline Group), offers 2BHK and 3BHK apartments with basic amenities that are required for a comfortable stay of residents. Additionally, it is located in proximity to the market and many educational institutions. What is the location of Skyline Bliss?The location of the project is Garia, Kolkata South. 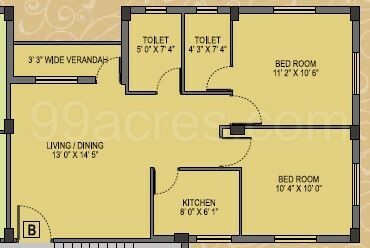 What are sizes of apartments in Skyline Bliss? The apartment sizes in the project range from 892.0 sqft to 1210.0 sqft. 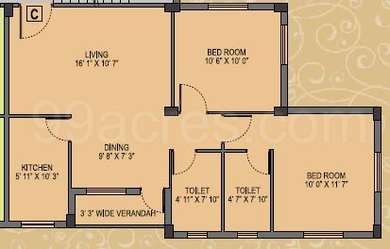 What is total area of 2 bhk in Skyline Bliss? 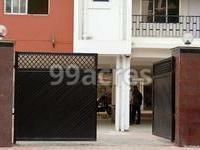 The area of 2BHK units in the project varies from 892.0 sqft to 1078.0 sqft. How much is price of 3bhk in Skyline Bliss? The price of 3 BHK units in the project ranges from Rs. 4049000 to Rs. 4500000. How many number of towers are there in Skyline Bliss? With 2 tower, the project offers 32 housing units. Can you tell me exact location? It is showing in Tentulberia, near Garia railway station.